Since we deconstructed i.e. ripped out the bar in the den I've been searching for the perfect cocktail cart for our house. We also repurposed Polly's dog bed space in the kitchen and I need to find her another napping place before winter comes. This is an ingenious solution but I'm think this might prove problematic with our hyperactive, allergy-prone itchy dog. 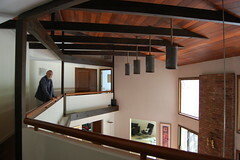 I forsee martinis up the wall and olives behind the sofa. 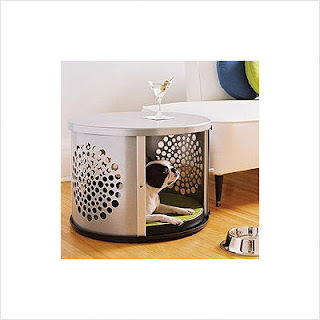 BowHaus Modern Pet Crate by Den Haus via Allmodern. Also available in ZenHaus and TownHaus styles. That is the best pet bed ever! But you're right, not the best for the hyperactive pet. Love this! My pup needs one.